Secure file transfer without a hassle. No login/registration needed. 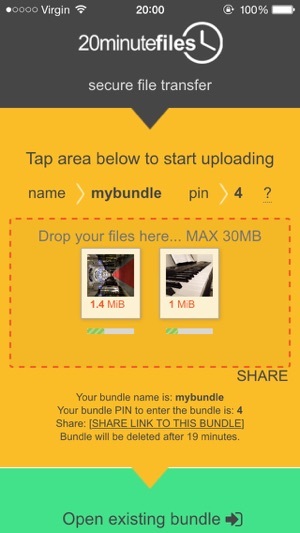 Just create a bundle with some name, upload your files, photos and remember given PIN number. 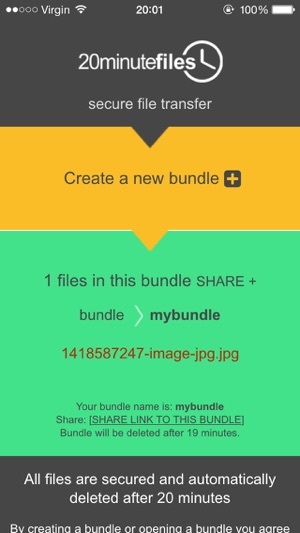 All bundles, photos and files are automatically deleted after 20 minutes from bundle time creation. All communication with our private server is via secure https channel using approved SSL certificate issued by global certified authority. 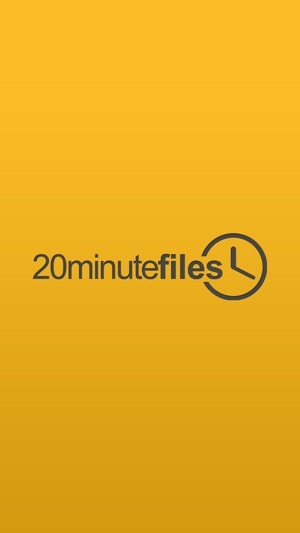 Files and photos are stored on our server only for 20 minutes and then automatically and securely deleted with no trace other that filename. 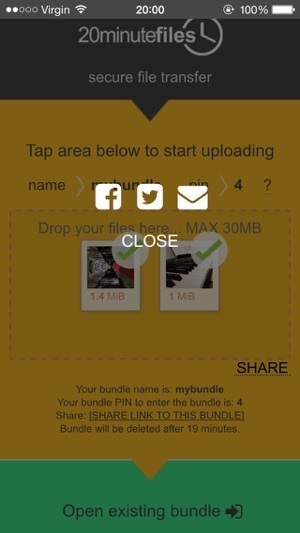 You can share your bundle, images and files via Facebook, Twitter, email, sms text message, using provided share link or using the bundle name and PIN number you were given. 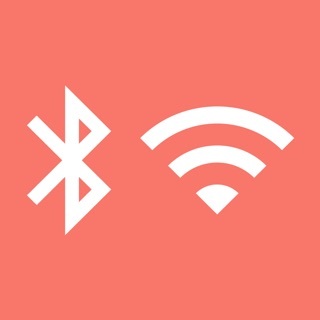 It is an easy and quick way how to transfer files, photos, images and pictures from one device to another and without hassle of login and registration. 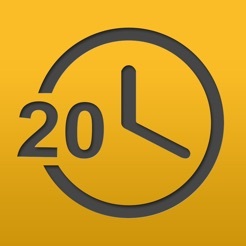 Website 20minutefiles.com is optimised to all devices - smartphones, tablets, laptops and desktop computers. 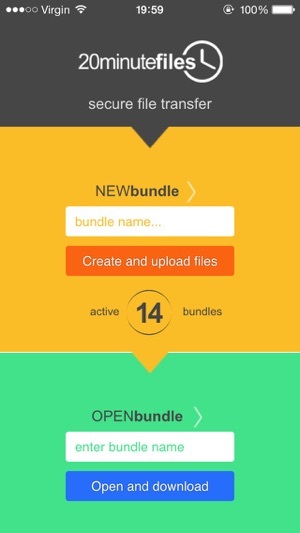 Create - upload - share - download. The rest is on us - we remove everything after 20 minutes.